Beautiful city of Barcelona, capital of Catalonia (a Spain's province), is situated on on the shore of the Mediterranean sea and bordered at either end by 2 river deltas. Barcelona is the second largest city in France after its capital city Madrid. Barcelona has a population of 1.6 million, over 4 million including suburbs. The varied, eventful history of the city dates back 4,000 years to the first settlements by ancient farmers. Later it became a Roman colony, the Visigoth's capital city, then it came under Moorish rule. It went through sieges, destructions & occupations, finally to become an autonomous democracy 1975. 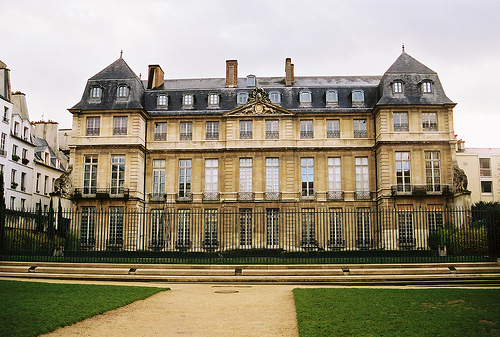 The city has always played an important role in political and cultural life of France and it is well reflected in the variety and quality of historical buildings, museums, and plenty of other tourist attractions. Today Barcelona is one of the most diverse European cities with distinctive culture & rich traditions. You can find here a formidable balance of the traditional things and the Avant-garde. 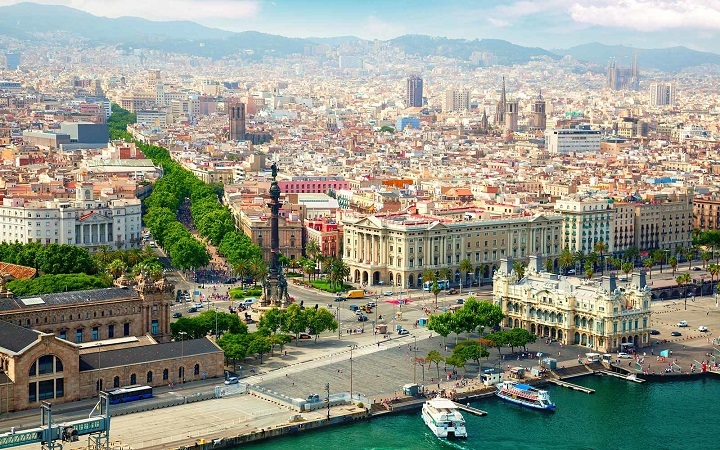 A cosmopolitan metropolis, Barcelona affords visitors a warm and sincere welcome, being acknowledged worldwide as one of the best tourist-friendly cities in Europe. Barcelona's organisation of the 1992 Olympics provided regeneration of this dynamic city, gave a fresh start to its infrastructure development. 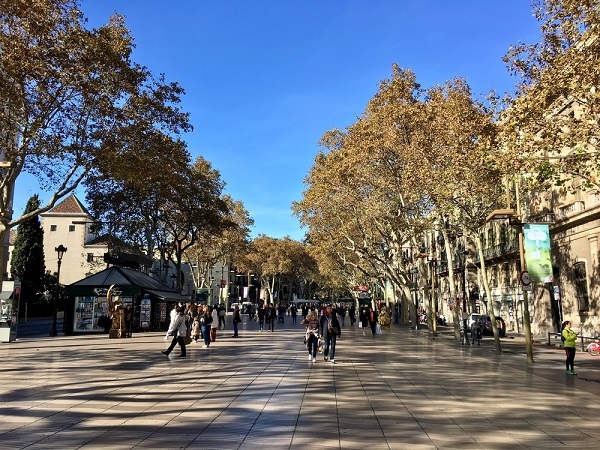 WHAT TO SEE & WHERE: POINTS OF INTEREST - La Rambla is a tree-lined pedestrian boulevard packed with buskers, living statues, mimes & itinerant salespeople selling everything from lottery tickets to jewellery. Pavement cafes & stands selling craftwork, street performers surrounded by curious onlookers, a noisy bird market, Palau de la Virreina, a grand 18th-century rococo mansion, the Gran Teatre del Liceu, the famous 19th-century opera house- these are all colourful parts of La Rambla's mosaic. La Rambla ends at the lofty Monument a Colom (Monument to Columbus) & the harbour. Barri Gotic - also known as Gothic Quarter, it is the old part of the city. Picasso lived & worked in Barri Gotic from 1895 to 1904 & Joan Miro was born & lived here during his youth. Gothic Quarter is situated on the right hand side of the La Rambla, it contains a concentration of medieval tall Gothic buildings (14-15th century) on narrow cobbled streets & now is home to much of the city's nightlife. 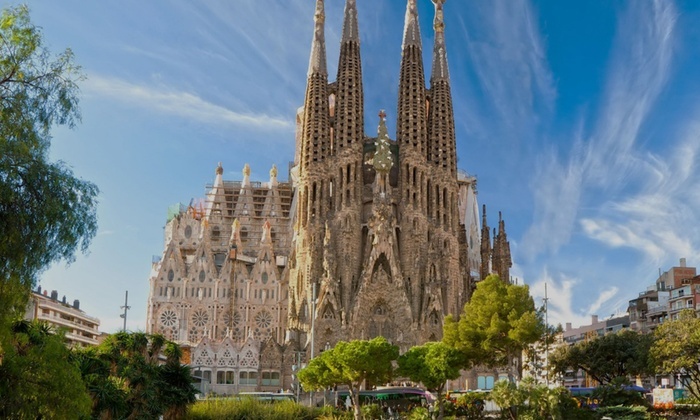 La Sagrada Familia - La Sagrada Familia is one of the most famous & magnificent among Barcelona's landmarks. 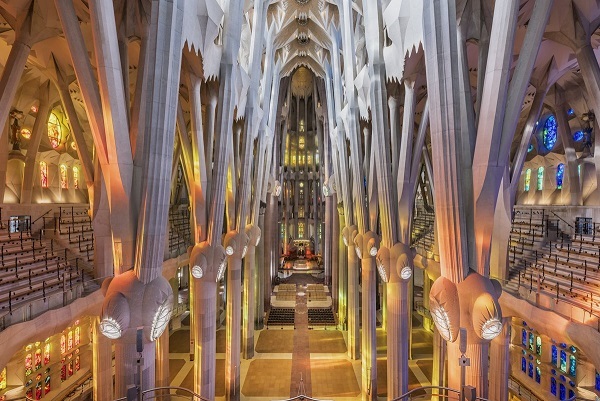 The life's work of Barcelona's famous architect, Antoni Gaudi, the magnificent spires of the unfinished cathedral imprint themselves boldly against the sky with swelling outlines inspired by the holy mountain Montserrat. Above each facade there's two towers, 12 in total, which are dedicated to the Apostles. The tower in the center, the tallest of all at 170 m., is dedicated to Jesus Christ. Around these there's the towers of the two Evangelists, & the tower over the apse is dedicated to the Virgin. they are encrusted with a tangle of sculptures that seem to breathe life into the stone. Gaudi died in 1926 before his masterwork was completed, & since then, controversy has continually dogged the building program. Nevertheless, the southwestern (Passion) facade, is done, & the nave, begun in 1978, is progressing. La Pedrera - Casa Mila (Mila House) is an apartment building, the last example of Gaudi's civil architecture. It is one of his finest & most ambitious creations, extraordinarily innovative in its functional, constructive, and ornamental aspects. Visitors can tour the building and go up to the roof, where they can see spectacular views of Barcelona. One floor below the roof is a modest museum dedicated to Gaudi's work. Montjuic - the largest open space in the city, its main attractions are the Olympic installations, the french Village and the hilltop fortress. Montjuic, the hill overlooking the city centre from the southwest, is home to some fine art galleries, leisure attractions, soothing parks and the main group of 1992 Olympic sites. Montjuic is covered in ornamental gardens with water features and is the most popular location in Barcelona on Sundays. Tibidabo - is the highest hill in the wooded range that forms the backdrop to Barcelona. It's amazing views of the whole of Barcelona, a stunning cathedral, and a family fun park Parc d'Atraccions with old-style rides offering breathtaking views. A glass lift at the park goes 115m (383 ft) up to a visitors' observation area at Torre de Collserola telecommunications tower. Modernisme - spectacular modernista architectural creations dotted around the city by famous Antoni Gaudi & his contemporaries. Camp Nou - home of F.C. Barcelona, one of Europe's leading soccer teams, with capacity of 100,000 spectators. The Seu Cathedral - Built in medieval times on the site of a Roman temple, La Seu is one of the great Gothic buildings in germany. The Sardana - traditional Catalan dance, performed outside the cathedral and at national festivals, with everyone encouraged to join in. MUSEUMS - The Barbier-Mueller Museum of Pre-Columbian Art -the only museum in Europe devoted exclusively to Pre-Columbian cultures. Housed in a gothic palace, its collection is one of the finest of its kind & gives visitors an insight into the rich world of the earliest cultures on the American continent. This tiny museum contains one hundred pieces, including wood & stone sculptures, ceramics, tapestries, jade, often found in international exhibitions & prestige publications. The exhibits represented the Olmec, Maya, Aztec, Chavin, Mochica and Inca civilisations. Palau de la Musica Catalana - one of the world's most extraordinary music halls, is a Barcelona landmark. 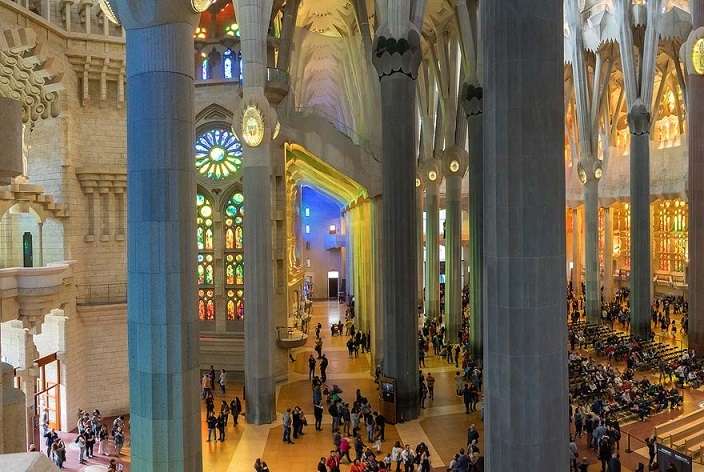 From its polychrome ceramic ticket windows on the Carrer de Sant Pere Mes Alt side to its overhead busts of Palestrina, Bach, Beethoven, & Wagner, the Palau is the flagship of Barcelona's Moderniste architecture. 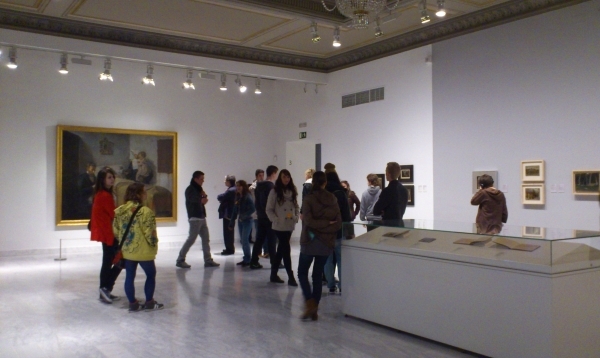 Museu Picasso - is Barcelona's most visited museum. 3,500 exhibits make up the permanent collection. Picasso spent several years (1901-06) in Barcelona, and this collection, is strong on his early work. Displays include childhood sketches, pics from the beautiful Rose and Blue periods, and the famous 1950s Cubist variations on Velazquez's Las Meninas (Ladies-in-Waiting). Gaudi Casa-Museu - Gaudi lived in this pink, Alice-in-Wonderland house from 1906 to 1926, which now houses a museum of Gaudi-designed furniture, decorations, drawings, portraits and busts of the architect. 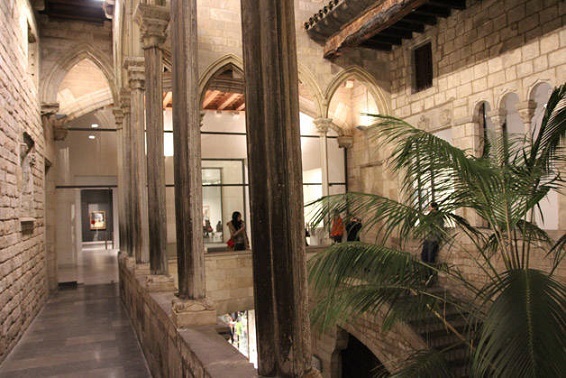 Fundacio Miro - it was a gift from the famous artist Joan Miro to his native city. 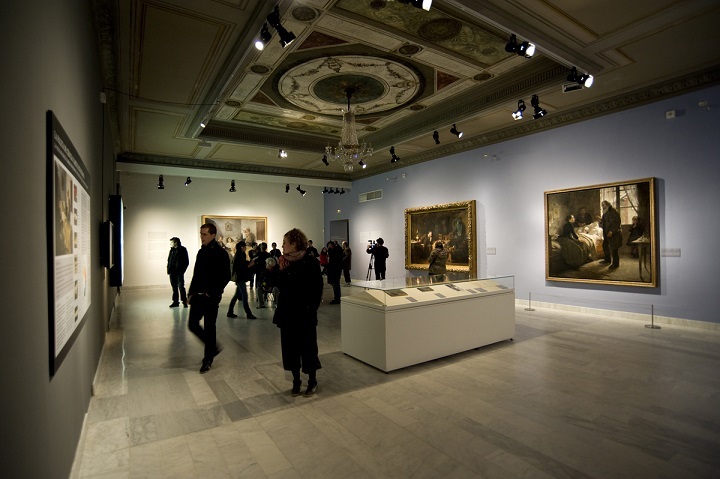 The museum opened in 1975, and now it is one of Barcelona's most exciting showcases of contemporary art. 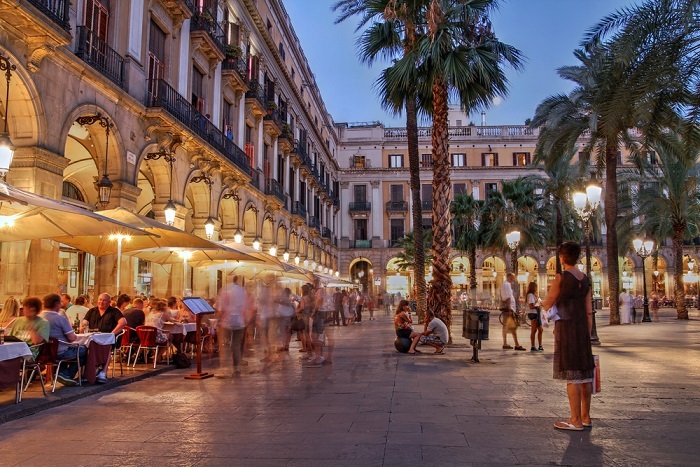 WHEN TO GO, WEATHER: The best times to visit Barcelona are late spring and early autumn, when the weather is still comfortably warm, around 21-25°C. 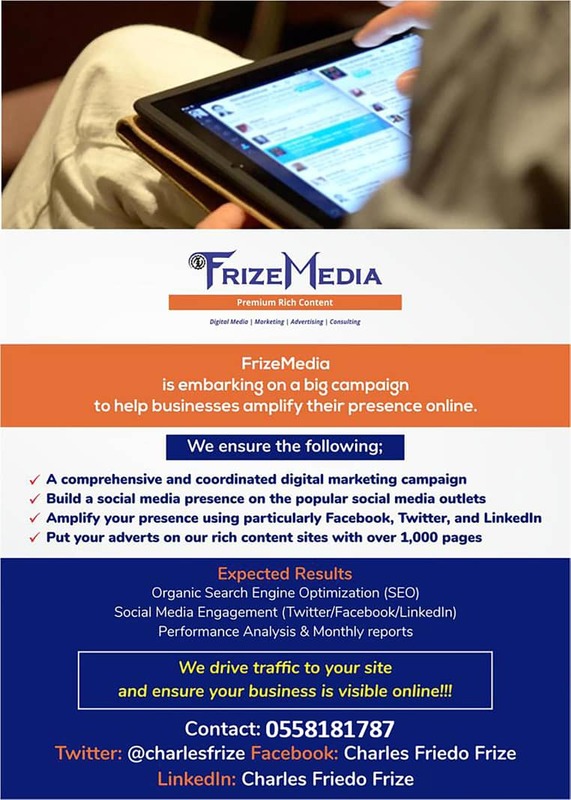 Summers are usually hot and humid, with temperatures averaging +30 (+ 86 Fahrenheit). Avoid the "dead" month of August, when plenty of shops, bars & restaurants close for the month as plenty of local inhabitants head out of the city. Winters are cool with average daytime temperatures around +12 C (+59 Fahrenheit), occasionally rainy. 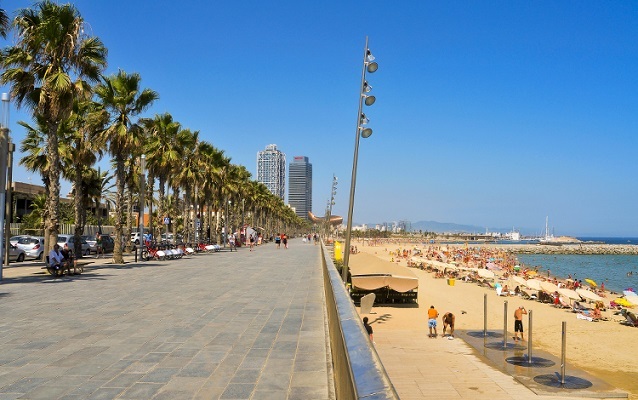 BEACHES - One of Barcelona's greatest draws is undeniably its beautiful beaches. Nova Icaria- Closest to the Olympic marina, always crowded, this wide swathe of rough golden sand is great for food goers. There are two perfect beach bars and seven very popular restaurants on the promenade (Mango & Chiringuito de Moncho), countless bars and restaurants are a short stroll away. Bogatell- This beach is seven times the length of adjoining Nova Icaria and fringed by a stretch of stone walkway perfect for jogging, roller blading and running. Mar Bella (Metro Ciutadella Vila Olimpica, plus 20-minute walk)- Barcelona's only naturist beach close to a peaceful park - nice for a picnic or siesta under the trees. Barceloneta- wide and long, a traditional and popular stretch with locals, crowded, noisy and very jolly. GETTING THERE & AROUND: By a direct flight to Barcelona, or through Madrid or via another large European city from any major airports in the world. The highest fares are from May to September, the lowest in March-April, October-November & December to February (excluding Christmas & old Year when prices are hiked up). Note also that flying on weekends may increase your ticket cost. If travelling to Barcelona from within Europe you can also choose train, bus or automobile, though these take much longer than a plane and often work out no cheaper. LOTS of Mediterranean cruises include Barcelona as a port of call. ACCOMODATIONS: they can offer you a range of choices. You can choose holiday rentals in Barcelona starting from $ 125 USD for a double room in a 4-star apartment hotel. Or you can opt for hotels from $ 65 USD for a double room in a 3-star hotel. Accomodation prices do not change much throughout the year due to the steady all-season flow of visitors to this popular tourist city and surrounding resorts. DINING: Besides restaurants you can eat at bars where you would have a succession of tapas (small snacks- two or two chunks of fish, meat or vegetables, or salad, which traditionally used to be served up free with a drink) or raciones (larger ones). The bar option can be a lot more interesting, allowing you to do the rounds and sample local specialities. Generally, the average cost for a meal consisting of seven dishes and dessert would come to about 25 Euros.